Sleeps 9. 3 Bedroom, 2 bath home. Bed configuration is:Q, Q, D/S, QSS. 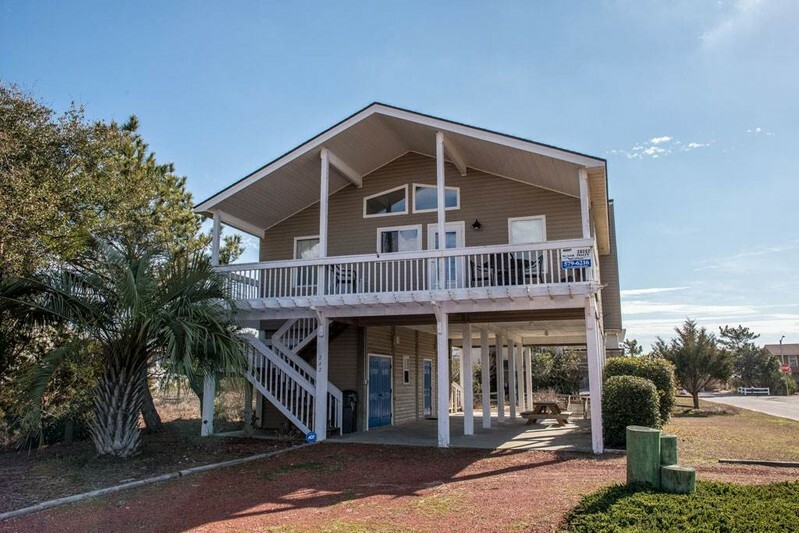 DW, W/D, MW, 3 TVs, DVD, wifi, phone, covered porches on both the front and back of house, Enclosed outside shower and dressing area, charc grill, beach chairs, convenient beach access. Non-smoking. Clean and cozy beach house, well equipped too!! Enjoying the peace and quite, but can hear the ocean waves.